A personal message from David C. Mabrie, M.D. F.A.C.S. 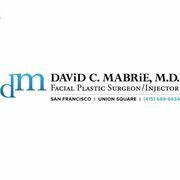 11 reviews for David C. Mabrie, M.D. F.A.C.S. Rate and review David C. Mabrie, M.D. F.A.C.S. in San Francisco, CA, United States! Share your experiences at David C. Mabrie, M.D. F.A.C.S. with your friends or discover more Cosmetic Surgeons in San Francisco, CA, United States.